Those gutless scalawags too fearful to put their Pas sur la neige last night are hopefully regretting it today. The auditorium of the Jewish Museum was a mere three-quarters filled last night, a sad reminder that spoiled New Yorkers want their transport problem-free, even their trips to bountiful. Too bad. Philip Glass himself made the trip uptown. So did members of the Bang on a Can ensemble who “presented” Jenny Lin, who frequently performs with them. And it goes without saying that anybody who works with Bang on a Can has to be brilliant–if only to keep up with then. Jenny Lin is of course a pyrotechnical marvel, as well as an adventurer in the most challenging music. But while many are in that halcyon of contemporary music, Ms. Lin sits apart. She gives a vital expressiveness to everything she attempts. Hers is obviously a labor of love–even if the labor is well hidden. Last night, she played an hour recital devoted to a pair of challenging composers, shedding her own radiance on both of them. 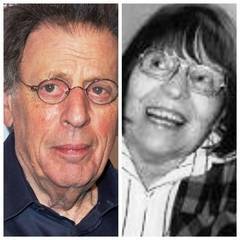 Philip Glass is always an attraction–but a lot of Glass goes a long way. 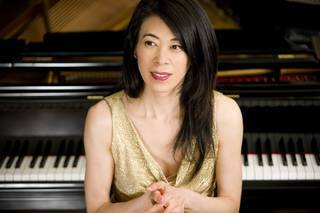 Galina Ustvolskaya is a far more difficult nut to crack, until a pianist like Jenny Lin shows how important that Russian artist can be. Dmitri Shostakovich was madly in love with the composer, so declaration that he had “only talent, she had genius” hardly rings true. But the four works played last night showed a composer of deep deep passion. Ms. Lin might not have that same personal passion, but in three Preludes and one Sonata, she gave a hair-raising performance. One heard whispers of this in the three early Preludes. Ms. Ustvolskaya. The composer’s mind is such an amalgam of the mystic, the Bachian, the Russian and the complex, that the three Ms. Lin played here were simply brilliant compositions, not pulling at the emotions. Like Shostakovich, Ms. Ustvolskaya took a simple motif in the three works, and let it build up–within its constricted space–to loudness, sudden bursts and with insistent dissonances. Not (the way Ms. Lin played them) with distressing dissonance, simply what the music called for. The Fifth Sonata was totally new to this writer–and the enigmas, the fierce way she could develop her three-or-four note Bachian themes, had tension, tautness, we wondered whether it would explode. Perhaps it was not played before in New York, so far as I know, because few pianists could lunge into 15 minutes of such snarls and emotion. Was it a one-movement Sonata? Ms. Lin stopped playing for a few seconds nine or ten times. Were these harsh Bartokian extremes? Even more, Ms. Lin played those high notes with, with an Edgar Allan Poe-like tap-tap-tapping. Were these hints of melodies coming out of the dense chords? For they resembled bolts of lighting out of the most violent storm. Whatever it was, Ms. Lin made it move and shatter. Not Shostakovich, but the mad dying Scriabin would have applauded this in whatever Heaven he is allowed to drink. Philip Glass was a different tale. Modestly he sat in the back of the auditorium, listening to a pianist who is one of his personal favorites. And if this writer enjoys Glass in limited amounts, Ms. Lin had that expressive sensitivity to make each of the five Piano Etudes have a different character. Oh, it was obviously Philip Glass. But it was the Glass of Chopin, Rachmaninoff, even of Schumann. Not that the composer imitated them, but in his work–which he admitted he wrote to make himself a better musician–Ms. Lin never made them anything but sensitive, glistening. Ms. Lin’s “goût” was to emphasise the simplicity of the tiny theme upon which Mr. Glass built his mighty work. Yes, Bach and Brahms both reserved their greatest strength for the passacaglia and for good reason, since it is an open-ended form. Philip Glass, sitting in the back row, obviously was pleased with Ms. Lin’s performance. And for good reason. Eschewing simply emotion for its own sake, she played with a clarity and understanding, and, yes, when it was necessary, absolutely volcanic climaxes.